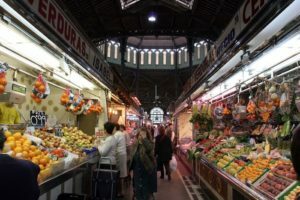 You can find this market in the Born neighbourhood, near to Via Laietana. 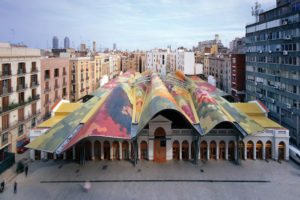 Easily recognisable from far for its curvy, colourful rooftop. 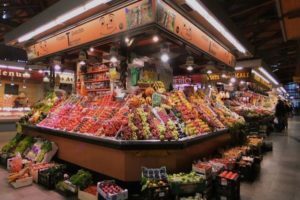 It was designed by Catalan architect Enric Miralles, and its purpose is to represents the colourful vegetables and fruits sold in the market. 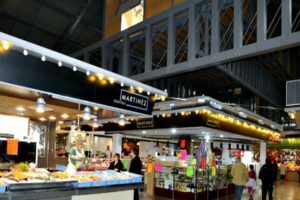 Altought this market is currently closed, due to renovations, after it is finished probably it’ll be next tourist attraction next to the la Boqueria. 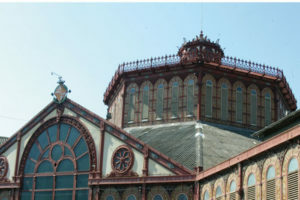 On the outside of the market, you can find stalls of second hand books, clothes, accessories and shoes. 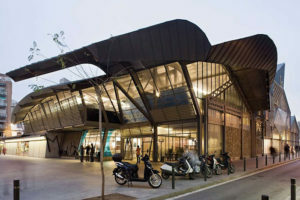 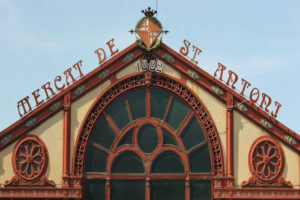 Located in the Gracia district, it is a less-touristy market in Barcelona. 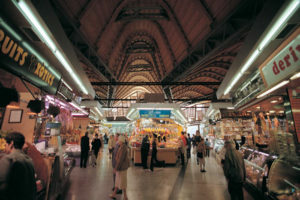 Next to the many fruits, and vegetables stalls, here you can find a big variation of seafood products. 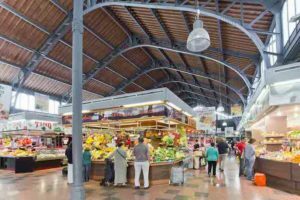 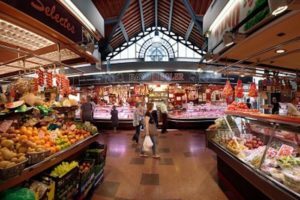 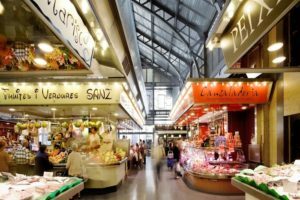 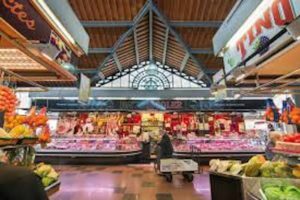 Enjoy the local and relaxed atmosphere as you walk through the inside and also the outside of the market where you can even more stalls of products!